President Museveni on Sunday referred the reported worrying health situation of Kyaddondo East legislator Robert Kyagulanyi as “fake news” (FILE PHOTO). 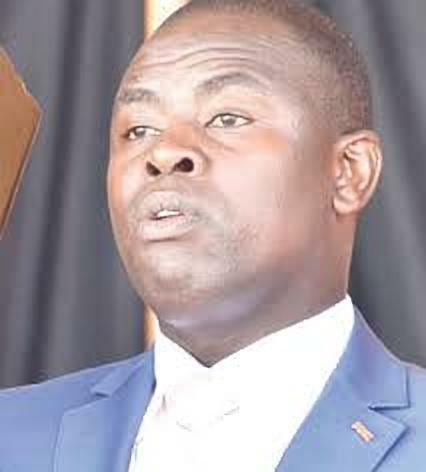 PARLIAMENT– Makindye East MP Ibrahim Kasozi has said President Museveni’s statement in regard to Kyadondo East MP Robert Kyagulanyi aka Bobi Wine’s health are mere lies told to him by the army given the fact that the Kyadondo East legislator needs urgent medication. President Yoweri Museveni on August 19 hit out at media reports that have suggested that Bobi Wine was seriously injured while being apprehended by security forces last week in Arua. Kasozi one of the MPs that visited Kyagulanyi in Makindye barracks yesterday, said that looking at Bobi Wine’s physical appearance, there is no doubt that he is in agony because he feels pain in his hip, cannot sit or stand on his own, he is bruised on the head and that he told MPs that the doctors told him he has a kidney problem, which is why he is requesting for medical attention. Kasozi challenged the government and the army in particular to bring Kyagulanyi out to the public if they think he is in a good state. “He even jokingly said, Mwana, abasajja abo bakuba. I think they deserve a gold medal,” Kasozi narrated. Kasozi rubbished the claims of fellow legislators who visited Kyagulanyi yesterday claiming that their colleague is in a better state saying that that is not true because the MP is still not well. On Sunday 19, MPs Doreen Amule, Ibrahim Kasozi, Anita Among, Peter Ogwang and Arinaitwe Rwakajara visited Hon Kyagulanyi in Makindye. They however said their colleague had informed them that he was in no danger and there was no need to worry. Parliament Commissioner Peter Ogwang yesterday released a statement where he accused the media of exaggerating Bobi Wine’s situation. Ogwang said to him Kyagulanyi looked very fine. Kasozi pointed out that since Kyagulanyi smiled at the MPs, they could have misinterpreted his smile assuming he is in a good condition despite complaining of severe pain and even asked fellow legislators including the Speaker of Parliament to help him get out of the barracks and authorisation for medication.